Candace Knight of Pleasant Grove recently pulled off a feat rarely seen in the world of beauty pageants. The 18-year-old entered the National American Miss (NAM) state pageant this summer—her first ever competition—and won. 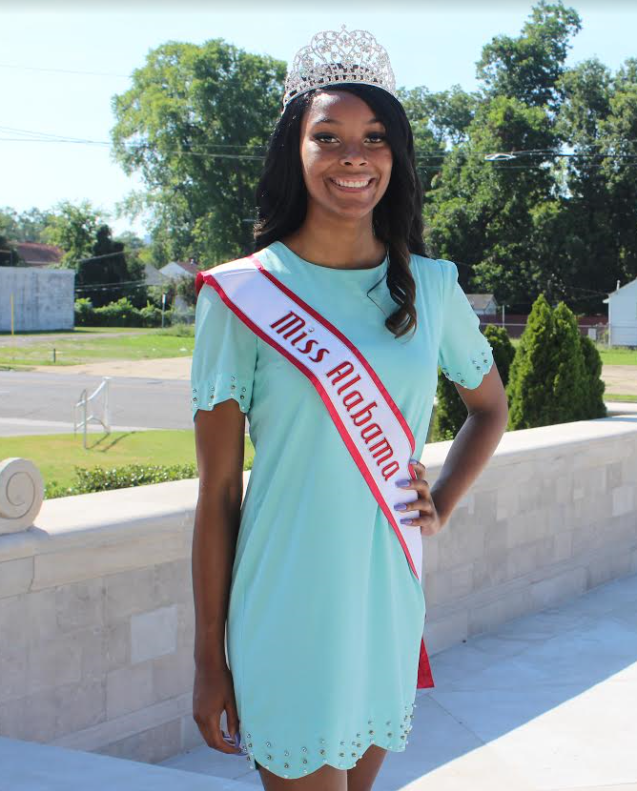 Knight was crowned Miss Alabama Teen NAM 2018 and will now prepare for the national title, which will be awarded in November in Anaheim, Calif. To help cover the costs for her trip, she will have a fundraiser on August 28 at Jazzi’s on 3rd Avenue from 5:30 p.m. to 7:30 p.m.
NAM is based on fostering a positive self-image by enhancing beauty from within. Knight said she was attracted to the program because it was more than about beauty. “It’s based on things like personal introduction, the way you walk, the way you carry yourself, how well you speak, your energy,” she said. When Knight received an email about NAM, she saw a window of opportunity that she couldn’t pass up. She wanted to do pageants in high school but was busy as a cheerleader and running track. When she received the letter, however, “that’s when I decided I wanted to do it,” she said. 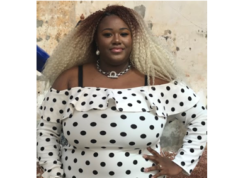 Knight feels that her confidence helped her become a first-time winner in the competition, which included 50 girls and took place at the downtown Birmingham Sheraton Hotel in early July. The pageant was a step out of Knight’s comfort zone, but she won first place in sportswear modeling and fan appeal, as well as for having the highest grade point average (GPA). Despite this being her first pageant, she was treated no differently than the other participants. 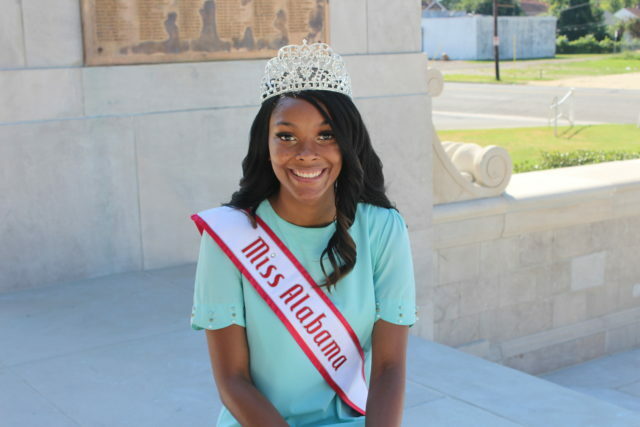 As Miss Alabama Teen, Knight performs community service and appears for speaking engagements, such as the R.E.S.P.E.C.T. Back-to-School Rally hosted by Pastor Steve Green of More Than Conquerors Faith Church earlier this month. 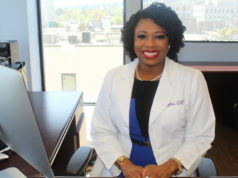 She also recently was a speaker during an event at her church, Greater Shiloh Missionary Baptist Church in Southwest Birmingham, and plans to host workshops for children interested in pageants, speak at different schools, and help with a project to clean up Birmingham. Another issue she plans to raise awareness about: mental health, mainly depression and suicide. Knight’s pageant experience will help her not only spread the message about mental health but also serve as a positive example for other young people. Knight, currently a sophomore at Alabama State University (ASU), plans to run for Miss ASU during her senior year. Knight grew up in Pleasant Grove with her parents, Bobby and Maria, and her three older siblings. In elementary school, she first tried gymnastics. When she got to middle school, she participated in cheerleading and track, which she continued once she went to Pleasant Grove High School. Academically, she took forensic science and is interested in becoming a crime-scene investigator or an FBI agent. When Knight got to ASU, she mainly went to class and spent time in her dorm room. Since winning the pageant, she believes that will likely change this semester. Amid so much exciting change for Knight, one thing that has remained a constant: her church attendance at Greater Shiloh and Birmingham’s Rock City Church, commonly called The Rock.